사적지에는 윤봉길 의사가 태어난 집과 성장한 집이 따로 있는데, 태어난 집은 광현당(光顯堂)이라 하며, 중국으로 망명하기 전까지의 집은 한국을 건져내는 집이라는 뜻의 저한당(狙韓堂)이라 한다. 윤봉길 의사는 새로운 문화의 습득에 주력하면서 농촌 계몽과 부흥에 힘썼다. 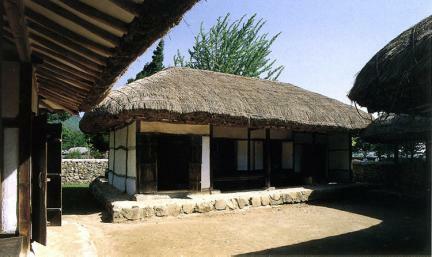 또한 야학회와 독서회를 조직해서 농촌의 문맹퇴치운동을 벌이기도 하였으며, 1929년에는 농촌발전을 위하여 월진회를 조직하였다. 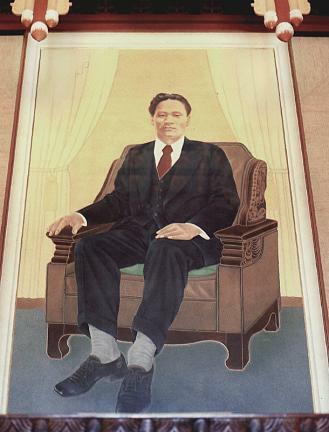 1932년 일본 국왕의 생일인 천장절과 상해전투승리 축하식을 겸한 기념식이 있었던 중국 상해의 홍구공원에서 폭탄을 던졌는데, 이것이 4·29의거였다. 윤봉길 의사는 바로 체포되어 사형을 언도받고 25세의 나이로 생을 마감했다. 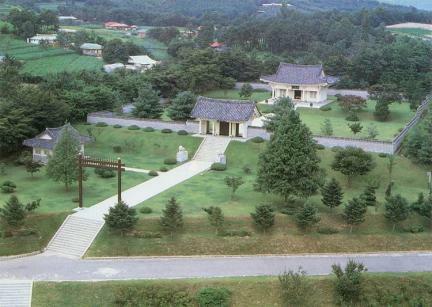 국가에서는 윤봉길 의사가 이룩한 업적을 기리기 위해 1965년에 기념탑을 세우고 1968년에는 충의사를 세웠다. 그 뒤를 이어 윤의사의 생가, 성장가 등이 복원되고 유물전시관과 농촌 계몽운동을 벌였던 부흥원이 세워진 것은 1970년 이후이다. 충의사는 윤봉길 의사의 사당으로서 초상을 모시고 있으며, 그가 평소에 사용했던 유품들은 보물 제568호로 지정되어 현재 유물관에 전시되어 있다. 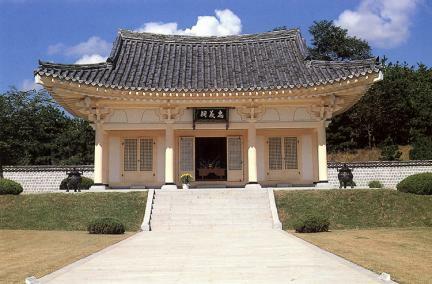 그리고 충의관을 세워 윤의사의 농촌 계몽운동과 4·29의거 장면을 그림으로 나타낸 11경도를 전시해 역사교육장으로 활용하고 있다. 매년 4월 29일에는 윤의사를 추모하는 매헌 문화재가 열린다. 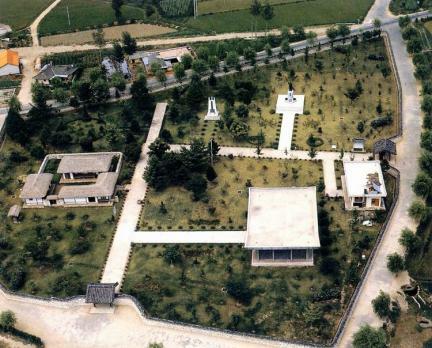 This place where patriot Yun Bong-gil was born and grew up is appointed as a site to commemorate his struggle for independence, the spirit of sacrifice of victims, and his heroic deed at Honggu Park in Shanghai. 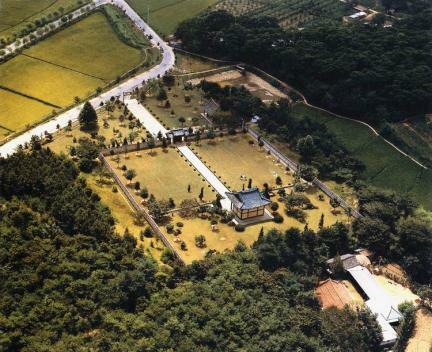 There are two houses here. 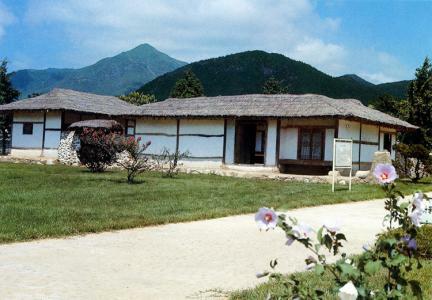 One is Gwanghyeondang House, in which he was born (it means “a house where light appears”), and the other is Jeohandang House (it means “house for saving Korea”), where he grew up and lived before leaving for China. He strove to gather new knowledge and culture at the same time making efforts for the renewal of agricultural communities and the stamping out of illiteracy through the organization of night schools and reading clubs in farming villages. 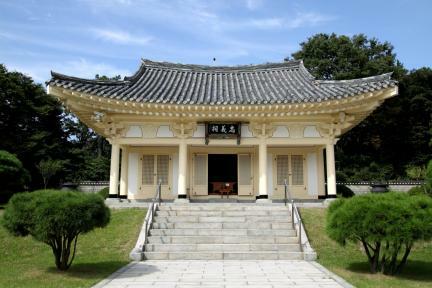 In 1932 he threw a bomb at the scene of a ceremony for victory in the battle of Shanghai and the birthday of King of Japan in Honggu Park in Shanghai. 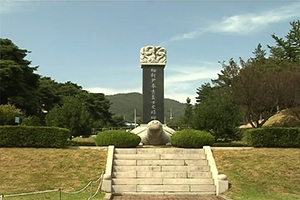 Koreans called this “the 4.29 heroic deed” (4.29 means the 29th of April). He was arrested at once, sentenced to death and executed. At that time, he was 25 years old. 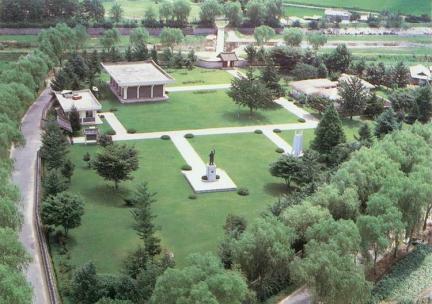 A memorial tower was erected in 1965 and the Chunguisa Shrine was built in 1968 to commemorate his accomplishments. 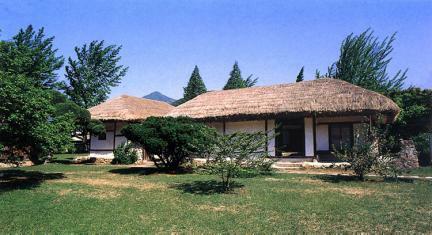 In 1970, his birth and childhood homes were restored to their original condition, an exhibition building for was opened to house his relics, and a head office of the agricultural village edification movement was built. 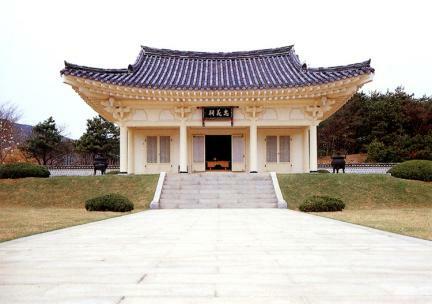 Chunguisa is a shrine to Yun Bong-gil, a faithful and loyal person, and his portrait was enshrined here while it is utilized as a place of history education with an exhibition of paintings of his shooting and his serving agricultural communities. Articles left by him were designated as National Treasure No. 568, and these are displayed in the exhibition hall. 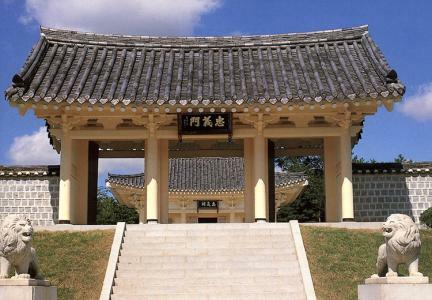 The Maeheon Cultural Festival commemorating Yun Bong-gil is held on the 29th of April every year.